Chennai Super Kings have found ways to win matches this season, but Sunrisers Hyderabad have the players to thwart their threat in Hyderabad. As the IPL rolls into the business end of the tournament, the different sides which are locked in the mid-table muddle need few wins under their belt to break away from the pack and rise up in the points table. 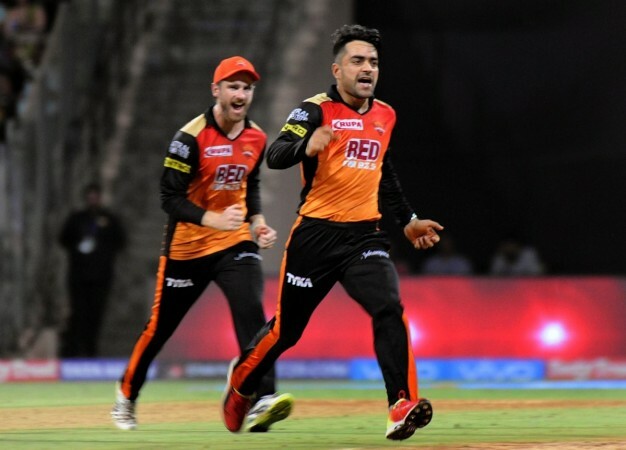 Sunrisers Hyderabad, a side which started so well in the season, have wobbled and defeats in the last two matches see them in a precarious situation. They will be facing Chennai Super Kings, a side which finds different ways to win matches even from hopeless situations and different players keep popping up to get the job done. Now, key players from both sides have to raise their hands and get the job done. MS Dhoni, Rashid Khan, Bhuvneshwar Kumar, David Warner – there are marquee names on either side and hence, teams will build their tactics around these players. For MS Dhoni, the biggest worry is the rampant David Warner, the Australian has been in roaring touch this season and has been piling on runs for absolute fun. Warner has been fluent against seam and spin and Dhoni needs to identify the bowler who can not only stop him but also get his wicket. And if take a look at the numbers, we see that CSK have a certain Harbhajan Singh to get the job done for Dhoni - the offie's record against the left-hander has been very impressive. In the previous seasons, Harbhajan has bowled 85 deliveries to Warner and has only conceded 97 runs. More importantly, the off-spinner has got rid of the Australian thrice in the IPL. On the other hand, Kane Williamson has to be wary of the MS Dhoni threat. The CSK skipper looks in good form this season and has already won a couple of matches for his side. As soon as the right-hander takes guard, Williamson might throw the ball to Rashid Khan and set attacking fields. In the previous season, MS has never quite deciphered Rashid Khan – In 22 Rashid deliveries, MS Dhoni has only managed to score 14 runs at a strike rate of 63.6. Also, the leggie has dismissed the seasoned campaigner once before in the IPL. "We still know that this tournament is still wide open. If we manage to get our game together throughout all facets of the game, we will find ourselves playing at the end of the season." - Tom Moody, SRH Head coach said before the match.